There are an infinite number of established artists who for a variety of reasons avoid their earliest work. Perhaps for the same reason we cringe when we see photos of ourselves as teenagers, musicians see their earliest work as immature and underdeveloped. For instance, Paul Simon is said to be embarrassed by the songwriting of the earliest Simon and Garfunkel works. On the flip side of this equation are the artists who lose the creative force and rely too heavily on their early material — i.e. the nostalgia acts. At Housing Works in November, Stereogum presented a performer who has expertly straddled this artistic enigma. Twenty-five years into her fruitful career, Suzanne Vega continues as a viable creative writer and performer, and fortunately for the longtime fans she also continues to embrace her earliest material. In the packed Bookstore Cafe on a chilly November Sunday night, Suzanne opened her set with “Marlene On The Wall”. Accompanied by the multi-talented Gerry Leonard, Suzanne offered an intimate duet version of the song that catapulted her career. With her voice as the centerpiece, “Marlene” is a number that at once provides a rich melody with lyrics that offer a complex perspective on a difficult relationship. The song also proved nearly three decades ago that Suzanne Vega was a fully formed artist from the outset, capable of introspective and mature lyrics coupled with a warm voice and a strong sense of melody. As she has now established her own record label, this year Suzanne has revisited these songs and re-recorded them for her “Close-Up” series. The Housing Works set featured many of the songs from the two current volumes (“Love Songs” and “People & Places”), including classic songs “Small Blue Thing”, “The Queen And The Soldier” and the closing numbers “Luka” and “Tom’s Diner”. Suzanne’s contemporary material was also well represented as she performed her contribution to the posthumous Sparklehorse/Dangermouse album “The Man Who Played God”, a song from her upcoming musical about the writer Carson McCullers (“The Instant of The Hour After”) and several songs that will appear on the anticipated 2011 releases of Volumes 3 and 4 of the Close-Up releases. As our readers can witness on this recording, all of these songs, old and new, were expertly delivered with the same level of proficiency and commitment. It is rare that an artist can balance her material with such precision. 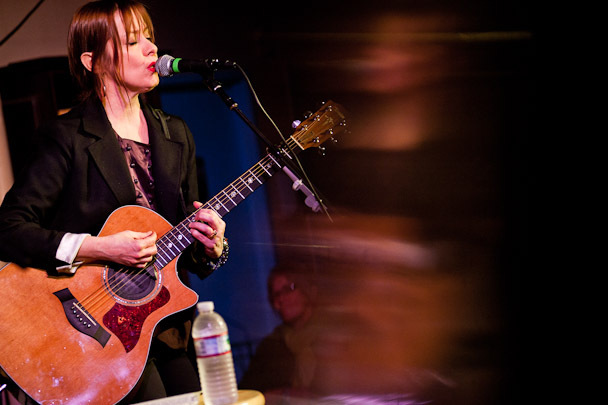 Suzanne Vega will again perform in NYC on January 8, 2011 when she plays Town Hall with Marc Cohn. This show was engineered by Suzanne’s soundman Phil Sullivan, who mixed it to perfection. My recording is a blend of his soundboard feed along with the DPA microphones placed at the center of the room about 30 feet back from the stage. As a result, the superb quality of this recording is perhaps unmatched by anything we’ve ever offered on this site. Enjoy! Many thanks to Suzanne Vega, Michael Hausman, Phil Sullivan, Scott Lapatine, and Rachel Fershleiser for making this event and this recording happen. 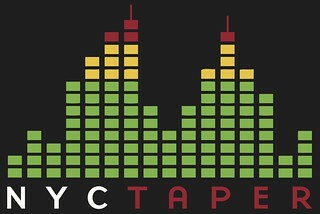 If you email nyctaper for access to this recording, we expect that you will PLEASE SUPPORT Suzanne Vega, visit their website, and purchase her official releases from Fan Shop at her website [HERE]. Suzanne Vega is playing in Metuchen, NJ 2/25/11. Just a half hour train ride from NYC. The theater is a short walk from Metuchen train station. Plenty of places for, a drink and dinner before the show.